There are a few fun travel contests and sweepstakes going on around the web this week. Here are some of our the TPG top picks to win some great travel prizes. Win 100,000 AAdvantage Miles: Join the AA shopping portal for the chance win 100,000 AA miles with their “Fly Like You Are Famous” sweepstakes. Follow the instructions here to become an AAdvantage eShopping mall member by completing and submitting the enrollment form including your AAdvantage account number. If you are already a member, click here to enter the contest. There are 10 grand prizes of 100,000 miles each. Hurry, enter by the end of today, April 30, 2014 to win. Open to legal residents of the 50 United States (including D.C.) 18 years and older who are also American Airlines AAdvantage members at the time of entry. You get more entries for signing up for the newsletter and making purchases. Win a gourmet food trip to LA. 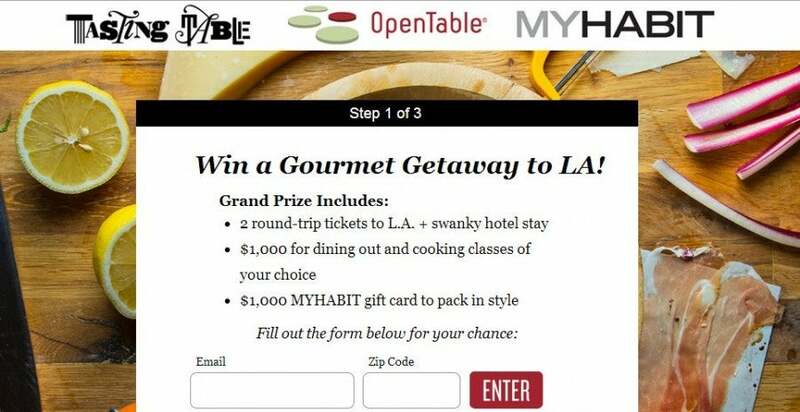 Win A Gourmet Getaway To LA: OpenTable, MYHABIT and Tasting Table are sponsoring a contest to win a gourmet food trip to LA. The grand prize includes two roundtrip tickets to California, hotel for two people in Los Angeles for two nights, a $1,000.00 MYHABIT gift card, and a gift card for $1,000 to be used towards dinner at one of LA’s best restaurants and cooking classes of the winner’s choice. You must be over 21 and a US resident to enter. Simply enter your email and zip code to win. Enter by May 12, 2014. Win a trip to Las Vegas to see a World Championship Boxing Match. 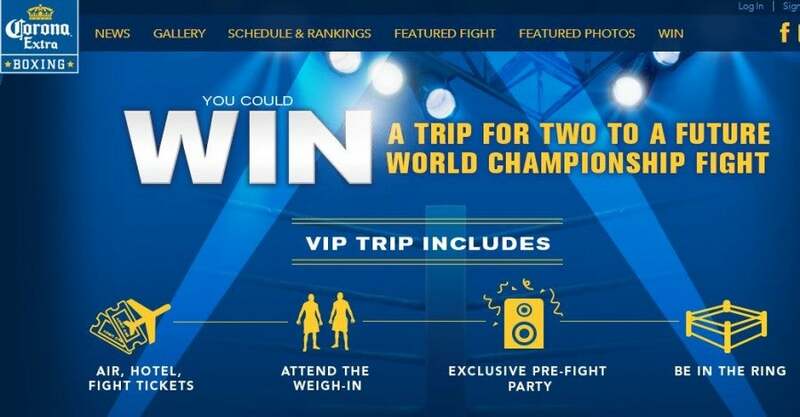 Win A Trip To See World Championship Boxing In Las Vegas: Corona is sponsoring a contest where you could win a trip to Las Vegas to see a boxing match. The official grand prize is a three-day, two-night trip for two people to Las Vegas, NV, for a VIP experience at a World Championship Fight in 2014. The trip includes round-trip coach air transportation from major airport nearest winner’s home, two nights hotel accommodations (double occupancy), admission for winner and guest to the fighter weigh-in, pre-fight reception and tickets to the fight, as well as the opportunity to be escorted into the ring on fight night. Entries must be received by 11:59 pm ET by May 5, 2014. Limit one entry per email address per day, and you must be over 21 to enter. Win a trip to Hawaii with Teleflora’s Deliver Bliss contest. Win A Spa Trip To Hawaii: The Teleflora “Deliver Bliss” contest offers a grand prize trip to Hawaii for five days and four nights. The trip includes roundtrip airfare, hotel, airport transfers and $600 to spend on a spa package, plus a year of free flowers. Several runners up will receive Teleflora flowers and Spa gift cards. Residents of the 50 US states 18 and older can enter. Submit your entry by 8:59 pm PT on May 10, 2014. 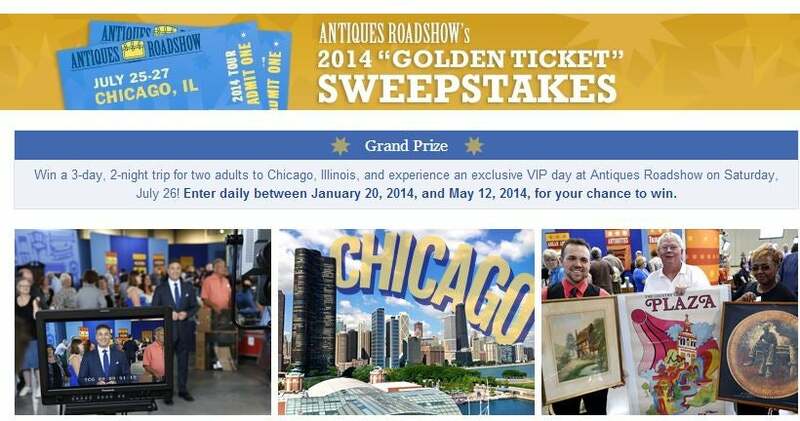 Win a trip to Chicago to see Antiques Roadshow. You must be over 18 and a legal resident of the US to enter. Submit your entry by 11:59 pm ET on May 12,2014.